Alexa & Katie – Season 2 (2018) – What's New on Netflix Canada Today! When Alexa and Katie graduate middle school and go to high school, they’re ready for anything. But when Alexa is diagnosed with cancer, it becomes a little bit harder. But with each other’s help, they can navigate high school and survive in the process. 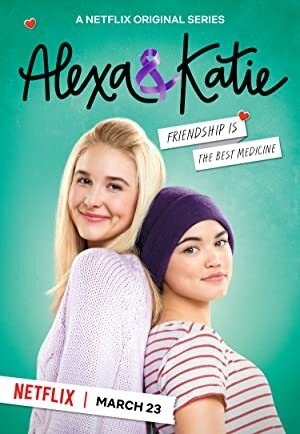 For best friends Alexa and Katie, sophomore year brings budding romance, a major breakup, a birthday milestone — and big lessons they’ll never forget.